This is a week off work for me so today has been a full day in my sewing room. 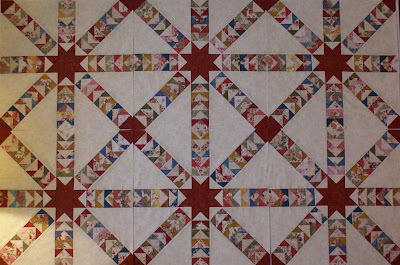 I'm making great progress on the flying geese quilt - six blocks completed so far. But I don't think I can stay focused on this project much longer. There are so many other quilts I want to make. 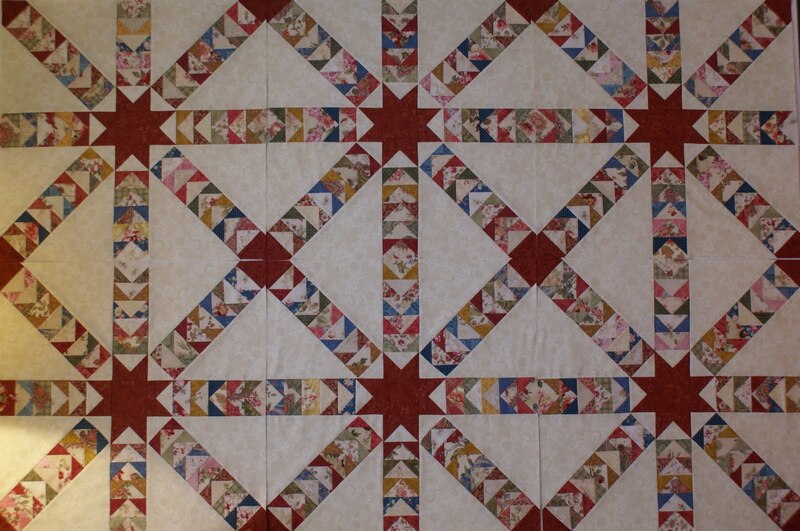 My plan now is to complete three more blocks and finish this as a large table topper. 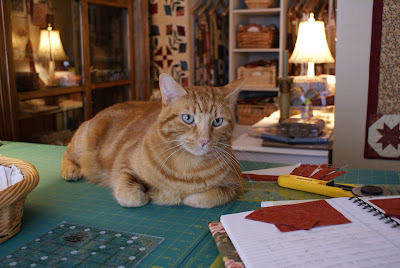 Ted was supervising my efforts this morning, as always. I don't think he liked it much when I used the camera flash to take this shot....closed his eyes just at the right moment. Beautiful quilt and charming cat too! 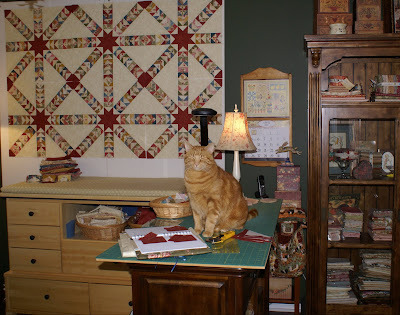 That is a gorgeous quilt and a smart cat! Flying geese are time consuming. Great job! Great color selection, too! Great quilt - would you mind sharing the pattern source? Thats just how Teddy sleeps. standing up. watching you. 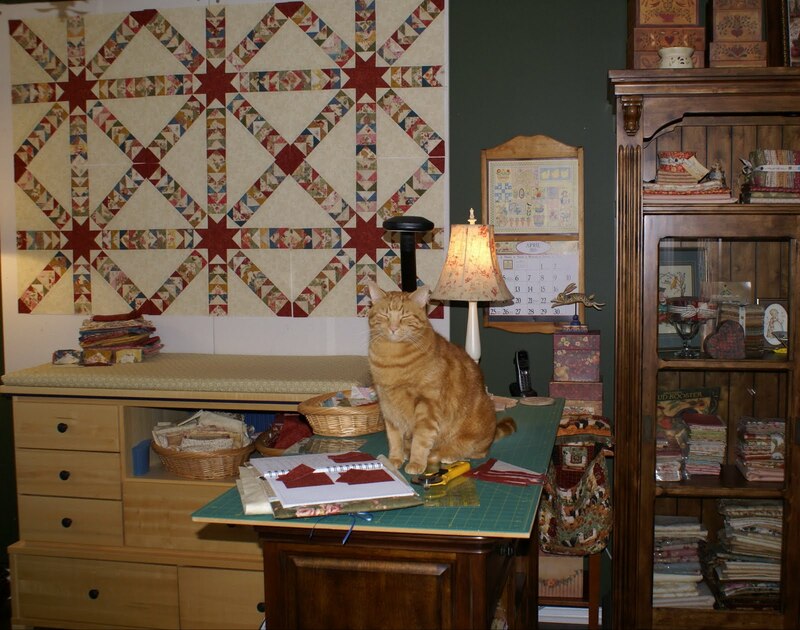 What a stunning quilt ..... what a sweet quilting companion you have!